Author of a number of books and short stories for children. Teacher and principal in the New Bedford school system. Moved to Kingston in the 1950s. Lived at at 228 Main Street. 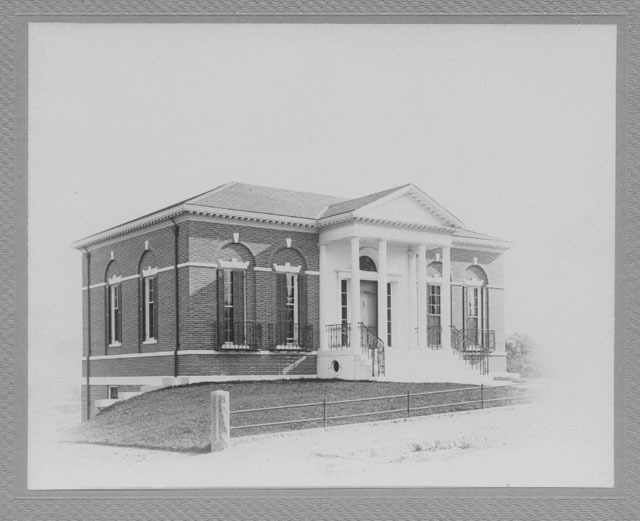 Communicant of the Kingston First Parish Church, member and secretary of the Jones River Village Club, and a Friend of the Library. 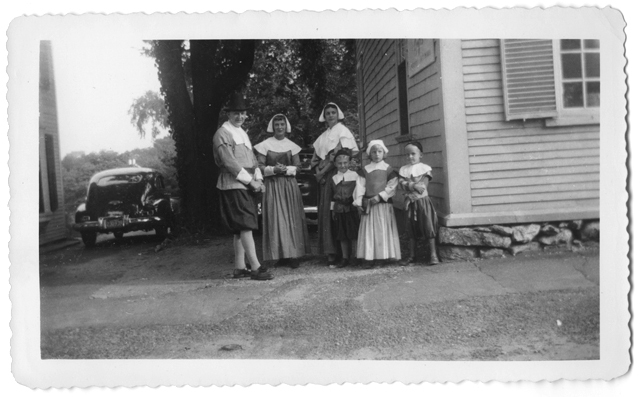 What it does not tell us is the identities of the these latter-day First Comers, where they were headed, and perhaps most interestingly, what kind of cars did Pilgrims drive? Update: It’s got to be a Plymouth, right? The Local History Room started some time ago, and while the exact date may never be known, the point of initiation is clear: a box of memorabilia carefully kept somewhere in the Frederic C. Adams Library. It has been my object to slip into this box anything which may promise to be of local interest in the years to come. After a generation or two, a picture of the life of Kingston in these days as shown by this varied and heterogeneous collection may prove of value as well as of interest. At times it may look like a collection of trash, but I trust that my successors may consent to give it house room and perhaps add to it samples of their history. And consent we do! Thank you Jennie, for saving us from the trash. 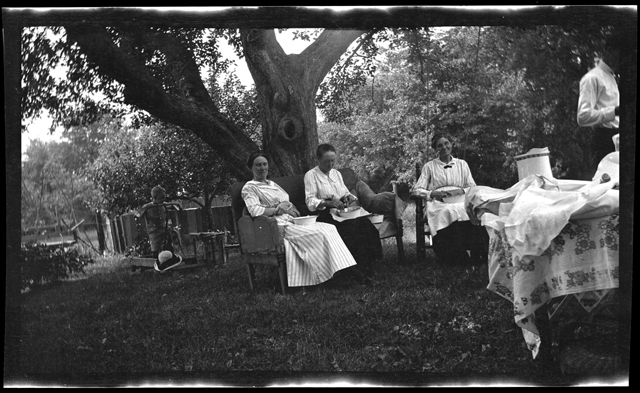 Jennie McLauthlen (at right) and friends, no date. Photograph by Emily Drew.